At 1200 meters, Carroz ski resort is easy to join (only 20 minutes drivibg from A40 highway). Made with small residences and chalets, resort center and residential districts are familial. Ski runs access is provided by a free shuttle service. 140 kilometers of slopes with Massif skipass (Carroz, Morillon, Samoens, Sixt) or 265 kilometers with Grand Massif one (add Flaine to the previous list). 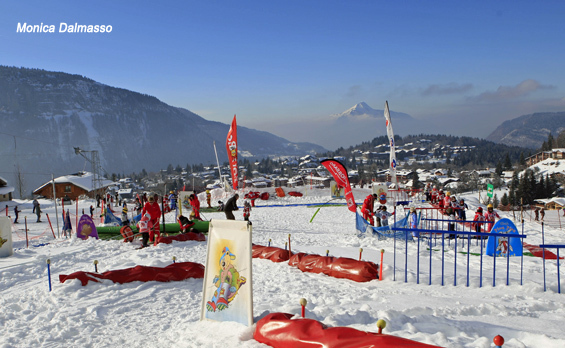 Ski in les Carroz d’Araches will be great for families and good skiers. Kedeuze gondola will lead you in Grand Massif heart in about 6 minutes. Opened from 22/12 to 22/04/2019 . At the ski area summits, amazing!